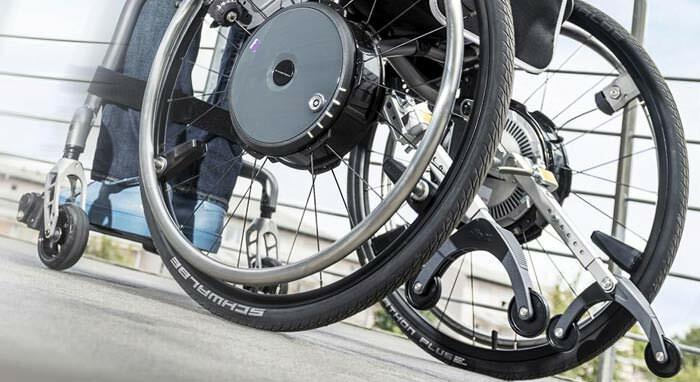 Kaye posture control walker with built-in seat has a slightly different frame design which includes a seat that folds up and down. Posture control walker has an easy place to sit and rest that helps the user conserve their energy for completing their daily activities. 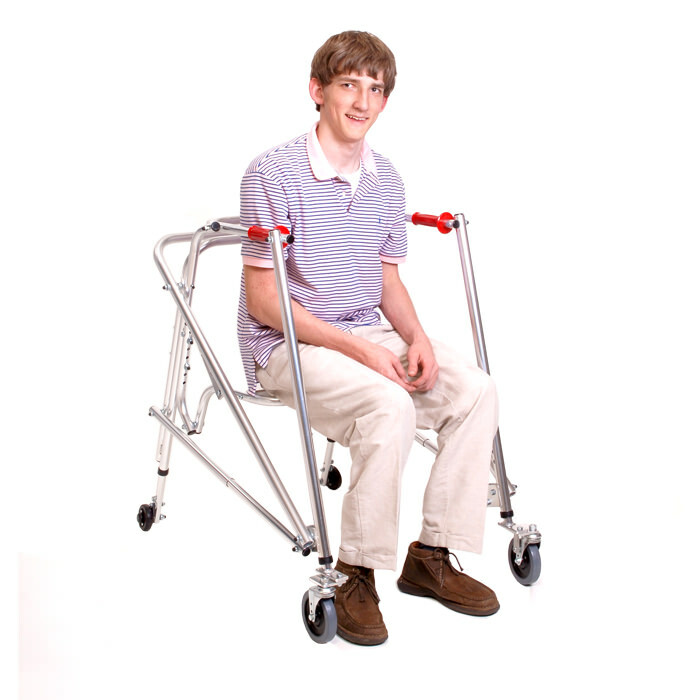 Kaye posture control walker encourages the user to remain upright due to the placement of the support behind the child. 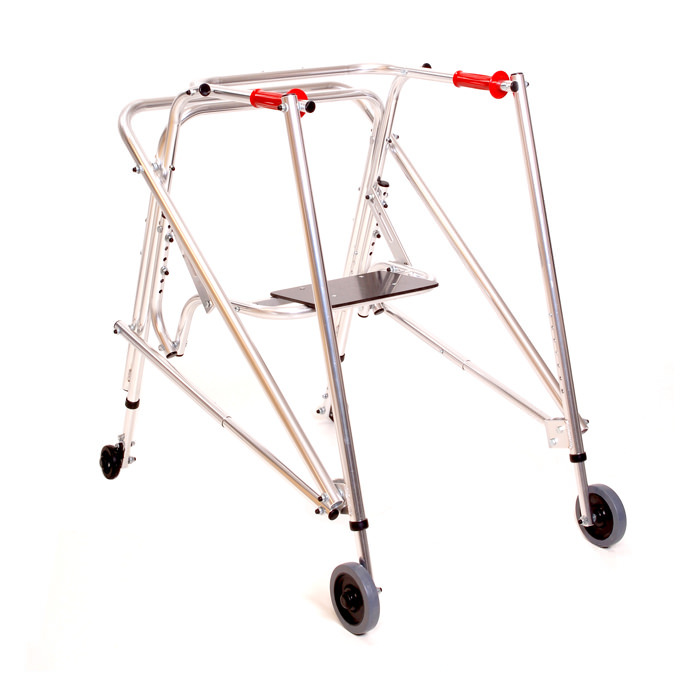 Posture control walker folds easily for safe storage and transportation. Height to top of handle (floor to mid-buttocks) 35½" - 41"
Distance inside handles - depth 15"
Distance inside handles - width 18½"